James sat down with StarCraft II game director Dustin Browder in Shanghai to learn more about how Blizzard hopes continue spurring the growth of eSports, and how StarCraft II's first expansion, Heart of the Swarm, will help. 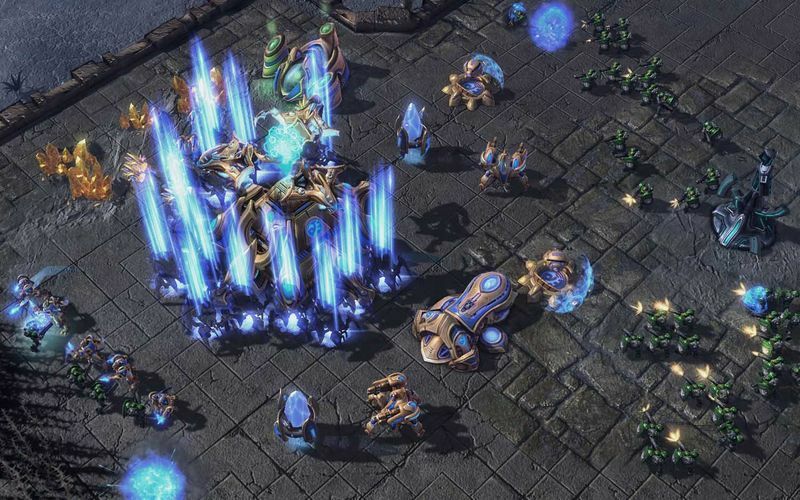 Gameplanet: What are the key lessons the development team has learned since the launch of StarCraft II? 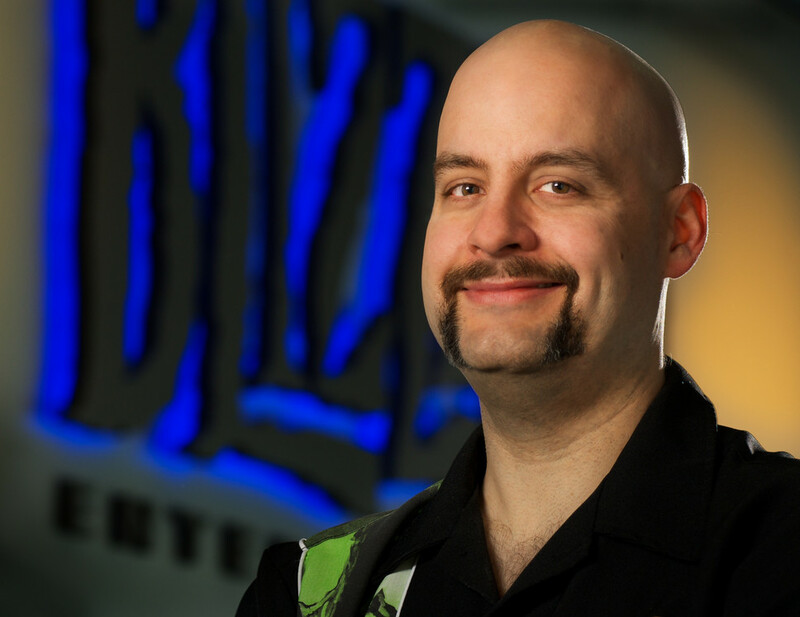 Dustin Browder: We've done a ton of stuff we've wanted to do since launch in terms of better social features on Battle.net: better chat channels, new ways to find friends, groups and clans; we've redone the layout of the whole thing to make it clearer and crisper. One of the things we saw after launch was that there wasn’t a lot of positive feedback from players coming to the experience. StarCraft II is a game of skill, it’s a game that you’re going to play because you want to be better at it and you want to compete. We’ve introduced a lot of new systems. We’ve introduced things like an experience point levelling system that gives you some positive feedback just for playing a game. We’ve introduced an unranked play system because we found that playing ranked over many months can be an exhausting experience. Even simple things like our new score screen will tell you things like some really key stats, what your average is so you can compare it to the game you’re playing and see improvement. Little things like this to really help players better learn and track their progress in a meaningful way so that this challenging game of skill is easier to get into and easier to understand. In terms of balance, we’ve seen vast changes to this game over the last couple of years. I don’t know if a lot players who don’t play StarCraft II will understand how incredibly important map design is to StarCraft, and how vital map layout is to the experience. One of the things that has happened over the last couple of years is that our maps have steadily grown larger. That has fundamentally changed this game. If you played two years ago and you play today, you’re using completely different strategies, even different units that you didn’t even use before are suddenly very powerful on maps of these sizes, and some of the units that were so powerful before feel a lot weaker on a map where suddenly speed is so important. We also have a pro community that we didn’t really have when we launched Wings of Liberty. 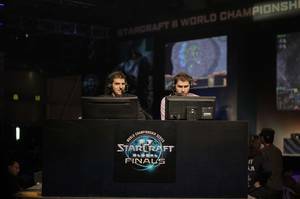 We had pros who had played the original StarCraft and [its expansion] Brood War who were coming over and helping us out, some of the really fanatical pros, but they weren’t really playing in tournaments like this. This wasn’t happening. Now two years later, it’s happening. So we’ve got all this knowledge and intelligence. 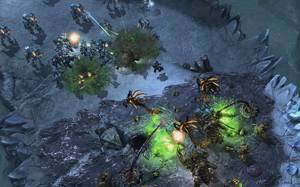 Gameplanet: StarCraft II was designed to be as fun to watch as it is to play. How does that impact on the game's design? Browder: One of the cool things about it is that a lot of the rules cross over one way or the other. If I’m making a game that’s fun to play, it’s also probably fun to watch. Certainly if I’m making a game that’s fun to watch, it’s usually fun to play. It has some fundamental limitations on it. When you’re making a game that’s just fun to play, but you don’t care if anybody watches it or not, the special effects can be way over the top, you can do stuff that’s really unbalanced but it’s really fun, you can do all kinds of stuff that lets you be a lot sloppier with your game design. But if you’re true to your game design and keep it really tight and clean, that’s a game that can be both fun to play and fun to watch. That’s what we’ve tried to accomplish. Gameplanet: How or where could you improve the visual experience for someone who is watching the game? Is there a better way you could be doing that? Browder: There totally is, and we’re going to cheat on that by giving the commentators the ability to customise their own stats, customise their own layout, customise their whole observer mode UI, so they can rebuild it however they want to do it. We’ve taken a lot of feedback from them on how to make that tool better. We’ll see what they do with it, and we’ll continue to work with them on that, because ultimately, they’re the experts in this area now. We’ve done stuff in the past, and you can see some of it here at BWC: we’ll put stats up on the screen – bars and pull-graphs. Sometimes they’ll use them as we expect them to, but frequently they don’t. We want to put the power in their hands and see what they do with it. 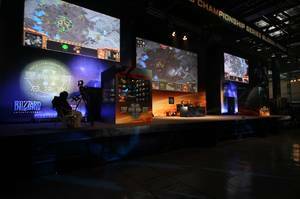 Gameplanet: Is the path for eSports growth different in the East and the West? Browder: I feel like that would’ve been true, or more true, in the days of Brood War where we saw explosive growth in Korea and little to moderate growth around the rest of the world. Now that’s not really the case, we’re seeing fairly comparable growth all over the world. There are some places where that isn’t happening as much, and that’s part of the reason we’re holding the BWC in China, we’re trying to get more exposure in more countries that don’t have a strong eSports scene yet, give them a chance to have some champions, give them a chance to put some guys on-stage and show their might. But I definitely feel like its gone very international, and you see Korean pros playing in the States and Europe all the time, you see US and European pros playing in Korea. It speaks well to the power if the Internet these days, and it speaks well to how global our fanbase has become, that we can really push this out and have a fairly comparable experience anywhere in the world. Gameplanet: What has been the key design philosophy behind the new multiplayer units being added in Heart of the Swarm? What aspect or aspects of the multiplayer have you set out to address? Browder: I wish I could tell you there was one unifying idea behind all the new units coming up in Heart of the Swarm! But in reality, each new unit is targeting different problems: Tempest is targeting Brood Lord and Colossus. Let’s talk about match-ups: You’ve got the Protoss versus Protoss match-up, which in many cases devolves into “who has the highest Colossus count?” Or, if the Colossus counts are comparable, how they line up, and how the engagement goes. It’s really critical. You’ve got these Colossuses attacking Colossuses to a point where you can have a very big army but you’re just short two Colossuses, but that’s it, you’re done, right? This is not the diverse match-up we were hoping for two years ago when we made Wings of Liberty – it’s not a disaster, but it’s not great. So now you’ve the Tempest which is a gun pointed right at the Colossus that says, “be careful how many Colossuses you build, you could be punished for that.” It’s not a great unit in a general scenario, but it has some uses, but it’s primarily pointed at Colossuses and Brood Lords. "Now you’ve the Tempest which is a gun pointed right at the Colossus that says, 'be careful how many Colossuses you build, you could be punished for that.'" We’ve seen this too with Zerg versus Protoss that Brood Lords can be extremely powerful. Blinking Stalkers [aren’t easily viable], and in some fantasy world I could build Void Rays, but that’s not really going to happen based on how we’ve balanced that unit. So now we’ve got the Tempest that comes in and deals directly with Brood Lords – again, be carefully how many Brood Lords you build. You could be punished. If you have some, that’s probably correct. If you have 15, and nothing but that, your opponent will go Tempest and ruin your whole day. So we’re attempting to get a greater sense of unit diversity. Then look at the unit like the Hell Bat. This is a unit that’s designed, in many cases, for Terran versus Protoss match-ups, where Protoss is going heavy Zealot and Archon, and unless you’re going to stutter-step and use stimpacks perfectly – and maybe not even then – the Archons and Zealots are going to run you down. We’re also obviously hoping to get, in some scenarios, a legitimate mech strategy in Terran versus Protoss. One of the big barriers to that is that is charged Zealots: they’re fast, they take less damage from siege tanks, they close very quickly, and there’s no real way to keep it back in the Terran army. The best the Terrans can do now is go Marines and Marauders, and they have to give ground to kill the Zealots. So they’re all pointed at different things around the game. Some of them are super-easy to use. Like the Hell Bat is an attack-move unit. A Swarm Host is somewhere in the middle. It’s fairly simple to use, but you’ve got to remember to rally it. Then a Viper, or a Mothership Core that’s way fiddlier, very easy to make mistakes, very easy to not understand how to use it, very easy for new players so say they’re not gonna touch it in their first fifty games because they have no idea what it’s for. It’s very easy not to do anything. We’re very driven to try and find new stuff, and a little too driven in that case. Gameplanet: What have been the key lessons for Blizzard from the Heart of the Swarm beta so far? Browder: The Terran Warhound. I feel like we could’ve seen that one coming. We went out with Warhound and some guys in the studio even said, “this looks kind of like a Marauder.” But we were so desperate to put more stuff into the game, and it’s so difficult to push stuff into the game because the game is so tight and we don’t want to repeat ourselves. It’s very easy not to do anything. We’re very driven to try and find new stuff, and a little too driven in that case. So we pushed that unit out and it was a little unbalanced to begin with, but that wasn’t really the problem – it was balance-able – but we listened and played, and agreed that it was a Marauder, a mech Marauder. That’s not cool because fans are going to figure out whether the mech Marauder or the bio Marauder is the right unit, and they’ll build that one. Then the other one simply wouldn’t exist. So we took a hard look at that unit and figured there were two things wrong with it. One, it’s just a Marauder. Two, this new mech army plays just like a bio army. It attacks and retreats, attacks and retreats, it’s here and there – very mobile. If you want to make mech work in any match-up, you’ll probably need to include siege tanks, because that’s what makes it special and unique, because it does have that ability to own ground, and to take it will really hurt. If you’re OK with that, and you can find a way around, then the Terran player has made a mistake. One of our goals [is to facilitate different styles of play]. If you’re playing Terran mech, you need to move your army twice, maybe three times, and that’s it. If you’re moving around all the time, you’re going to be caught out of siege, and some bad stuff is going to happen. So you need to pick your moments and move – unlike a bio army which is always moving – in fact, if you’re not moving, you’re doing something wrong! That was a style difference that was made very clear after we put out the Warhound: this is changing the style of mech. It’s also making mech viable, but it’s making it viable in the sense that it’s like bio, so what’s the point? We’ve changed the Oracle completely, and the Mothership Core substantially. That one was more about getting the tuning right, because we knew what we wanted it to do, but we had the wrong abilities in different places. We’re closing in on it finally. The Oracle was more just a loftier goal of having a Protoss raider that didn’t feel like every other raider in the game. It didn’t slaughter workers by the dozen, that kind of thing. So we kept changing the powers until we got something that matched that value-set. 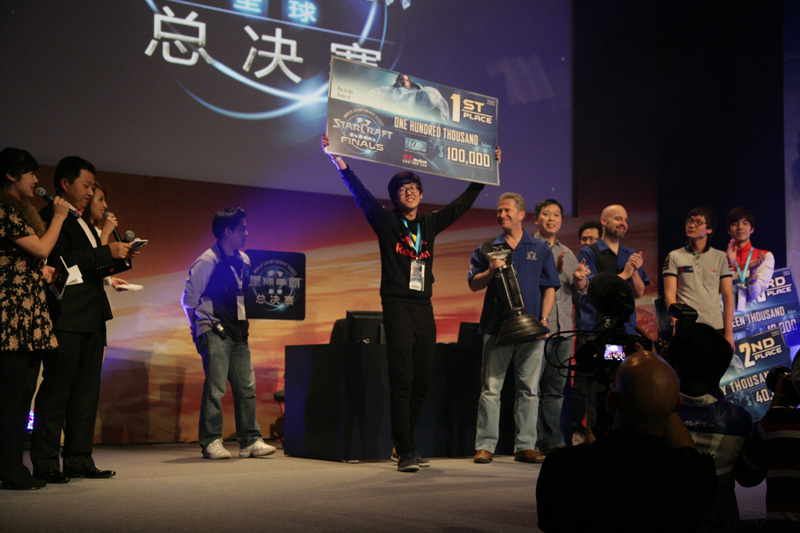 Gameplanet: Where do you see StarCraft II in five years? Browder: I hope it’s mighty and healthy and strong in five years. We’ve sill got Heart of the Swarm to release and Legacy of the Void that we want to release. This community has shown that with enough love and support, they can and will build amazing things. I certainly hope to see more and more growth in eSport, I certainly hope that our stories prove to be worthy for our campaign crowd. To which we’d be like, “OK, that’s actually pretty cool,” and we’d be imagining maybe 65 guys. Then next weekend, we’d hear they had seats for 100, and they’d all be full. 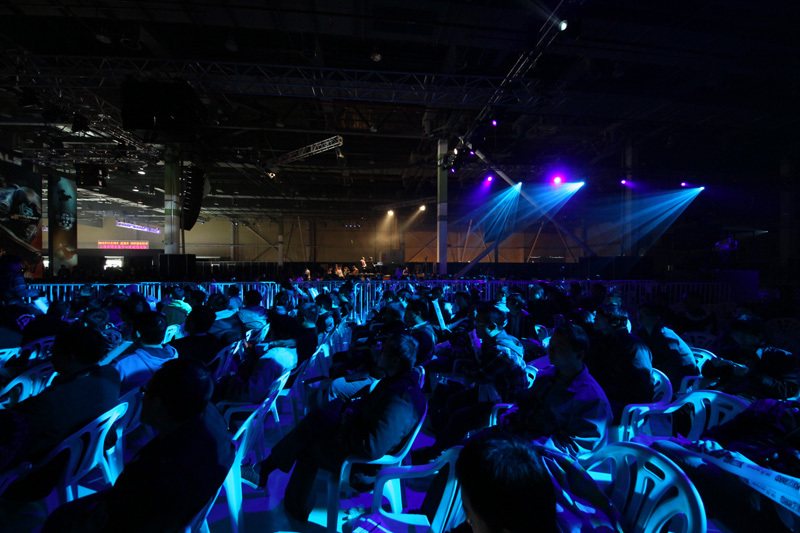 Then we went to BlizzCon in late 2010, and it was standing room only – a big fire hazard! It was at that point that I knew we were off the grid. We were hoping for the MLG story of the hundred. That was the win. That was our “we did it!” moment. Who would’ve thought two and a half years later we’d be here in Shanghai in a building holding thousands of fans, and all of them watching our game? When I close my eyes, I see StarCraft. Artist talks through his work.